Hope you're having a good Monday so far! I wanted to share this look that I did over the weekend. I LOVE my neutrals, and even when I use colors, I try to use them in a way that I see as "wearable". Meaning, a look that I'd feel comfortable leaving the house with. I was happy with the way this turned out and also how it seemed to make my eye color pop. For this look I used one of the new Wet n Wild trios and a couple of other great drugstore shadows. 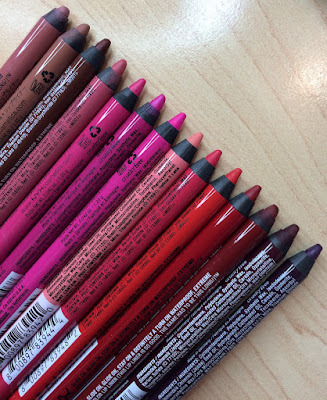 If you want to see swatches of all of the shadows from the limited edition Wet n Wild Pop Art collection, click here. It's really interesting to see how the powder shadows can change color when overlapped and blended. As the yellow and turquoise come together, the look takes on more of a greenish tone. Hope you enjoy this look that's slightly different from my norm! If you'd like to see looks using any of the other Wet n Wild trios, let me know. 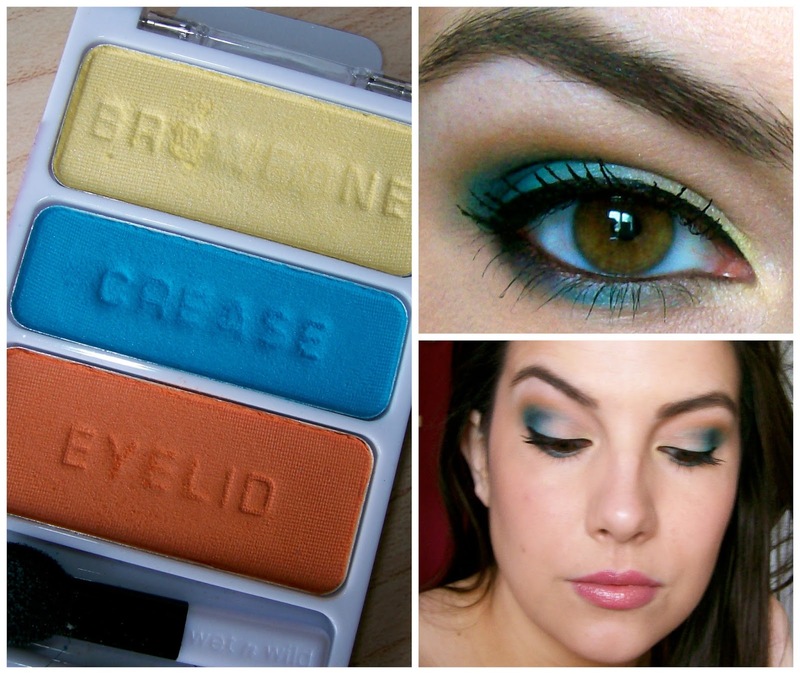 As with all Wet n Wild shadows, there's a lot of color payoff and a little goes a long way! I really think that if you have a good black and a light highlight color to add to those colorful trios, you can create a whole eye look. I always feel like bright colors are more wearable when I add a little depth to the crease along with some black liner. Watched "A Time to Kill" with Tyler last night... I think I've only seen bits & pieces of that movie before, but got in on it from the beginning when it was on TNT- what a movie!!! I was in tears multiple times. That has to be one of Matthew McConaughey's best performances. Wearing a muscle tee from Forever 21 that says "meow" on it. I'm so excited about Wednesday's blog post on the Ladies Home Journal Gloss Daily site!! It's gonna be a fun one! Just wrote it this morning. Cleaned out my big storage closet in the bathroom yesterday that holds all of my hair tools, hair products, body stuff, etc... that felt good! Such a pretty look!! I'm still a bit weary on wearing such a bold, colorful eye...you sure can pull the look off well! Will have to play with colors and give it a try before summer is over! Yes! This is the only one I could get my hands on!!! I vote yes, too :) Really I would like to see a look with each of them. I picked up three of the palettes but I haven't had much chance to use them. Kind of a miss for me, personally, but I LOVE and totally appreciate that you're mixing it up and playing with color in this post! I love that you create a wearable look out of strong colours . I am kinda afraid of colour because I don't want to mess up so I'm glad I can find an inspiration in your work. I love, LOVE this use of colorful eye shadow! Thanks for much for this post. This is one of the 3 I bought from this collection and I love seeing the wearable looks that can be created. Love this look! I am going to have to try and snag those Wet n Wild trios!!! I love this! The color is great, but it still looks wearable! I am loving your eye look today. I love how this turned out, Emily! You have such a knack for taking colors that I would just kinda be staring at, wondering what to do with, and you make a beautiful look out of them! I got the red/black/white trio "Three's A Party" yesterday, and would love an idea on how to use it!! Beautiful. I wasn't sure how you were going to blend all those colors, but you did a beautiful job. Looks natural too. Isn't the L'oreal eyeliner the best? Love the kajal formula. I absolutely love the look you created with these shades!! I just all of Wet n Wild trios. I'm obsessed with finding all of them. I have a blog post on the trio, "I'm seeing Triples" on my blog. Beautiful and unique color combo. Looks awesome! I like the pop of orange above the blue. Wow these colours really compliment your eye colour! So pretty! Thank you for this! I bought 4 of the 6 trios and don't really know what to do with them. :-) I love the look you did with this. Beautiful Emily! I bought two of the limited edition palettes, and one I tried isn't as good as this one you used! This is great! I really appreciate you working outside of your comfort zone for this look. Sometimes seeing someone we look up to venture out to try something out of the box is all it takes for us to muster up the courage to try it ourselves. Beautiful work! I USUALLY DONT COMMENT ON BLOG POST, AND ICOME HERE EVERYDAY BUT THIS LOOK IS ONE OF THE BEST AND MOST BEAUTIFUL I HAVE SEEN ON YOU, I WOULD LOVE A TUTORIAL ITS SO BEAUTIFUL AND MAKES YOUR BROWN EYES POP! Hi Emily! I took a look at these palettes in my local Walgreen's and I did not care for the color combinations FOR ME.Oranges, yellows, reds and bright blueshave looked clownish on me in the past with my blonde hair and green eyes..I think you did a beautiful job!! Your technique is flawless and, what can I say? You have done it again! Gorgeous!!! 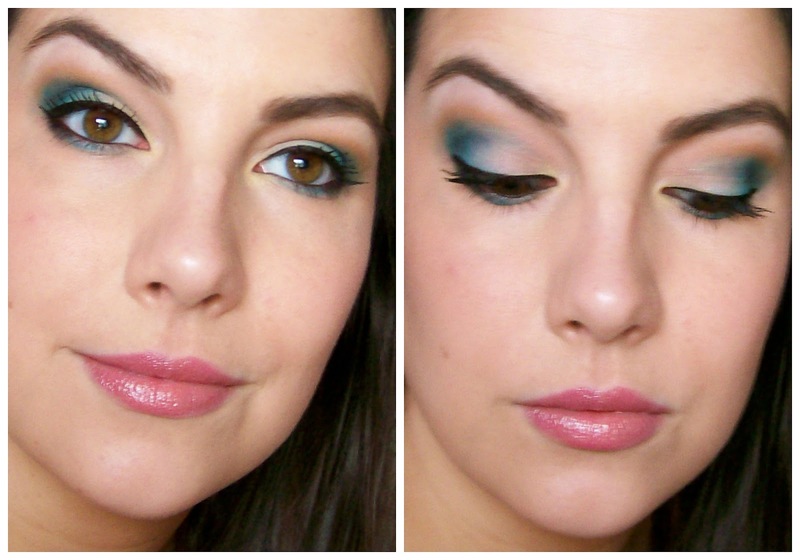 I absolutely LOVE Wet N Wild eye shadow trios. I also really liked how you overlapped the colors to make something completely different really great job. Very pretty. Love how you made this wearable. I was lucky enough to grab all the pop art palettes at walgreens (tagged you in my ig photo regarding a review & you replied!) But I had a hard time making a look out of it. Love this, got some inspiration. Would love to see more. Thank you for all your hard work Emily! See you Thurs on beautyvlogcast! Love this! I would LOVE to see all of the palettes!!! Pretty! Colorful but still wearable during the day. I love! i bought 5 of the trios and would love to see more looks using them, especially since they're still available. i just bought these colors! haha thanks for the tutorial. A BACK TO SCHOOL CLOTHING HAUL WILL BE UP LATER THIS WEEK!!!! I'm going to try out this look. I would love it if you did more looks with these new w/w trios, and show how you make them wearable. OH, I LOVE LOVE LOOOVE seeing you add some color!!!!! Ladies don't be scared of the color!! IT'S FUN!!!!! Just what makeup Should be!!!! You look beautiful. Can I have the same beautiful look on my green eyes? I love this look! Never thought Wet n' Wild would have such great colors! I see these palettes everyday at work [I work at Rite Aid] & I'm always like 'ugh, these colors are awful. No one could ever pull that off.' WAY TO PROVE ME WRONG. Now I want to buy a couple - except I'm skeptical about my ability to pull off this look as well as you do! Great job! I love this look! I was able to find and purchase all 6 trios in this collection, however I am a little stumped on what to do with them. This is a nice idea to start with but would love to see what you could come up with using the other 5. I bought three of those LE Trios and I love them, but I feel a little out of my element trying to put a look together. I really liked this one, can you do more!? Gorgeous. I used the new jordana eyeshadow pencil continuous almond (the flesh tone one) and the orange reaaaally popped!! It didn't crease like nyx's milk does! I didn't want this particular palette before but now I do XD please do more looks with these trios!! Beautiful! I applied the colors this way about 2days ago & it turned out great! Hey Emily. I have been a fan of yours for many years. 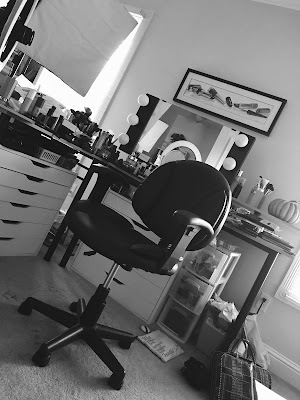 My entire makeup collection is due in large part because you and your Emily Awards. This is an amazing look. I was super skeptical about what to do with this palatte but this look gave me inspiration to try something. I wore this look the other day and it was total hit! Thanks again!